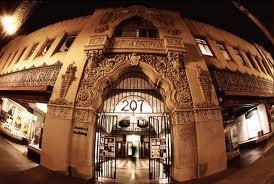 Visual Art | Venue Categories | SparkOC.com - The happening place for Arts happenings in the O.C. 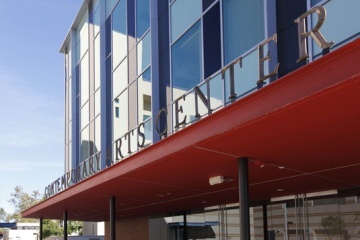 The Cultural Arts Center in Anaheim is the home for Anaheim Ballet company. It features two large and two small dance studios for classes, office and storage space for the Arts Council. This newest branch of the Anaheim Public Library offers family oriented services, with bestsellers and popular materials for adults. Popular and homework support materials are available for elementary and junior high students. Toddlers and preschoolers have their own area where stories are told under the trees, and a large number of computers are available for public use. The interior offers panoramic views and an atrium wall, at some points soaring to thirty feet or more. 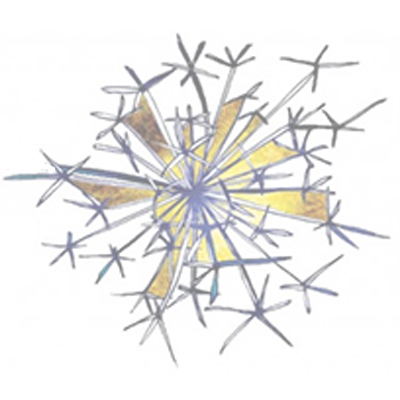 Art & Creativity for Healing is a nonprofit public benefit corporation that relies on fundraising events to ensure its mission. This innovative organization offers unique classes and workshops that help children, teens and adults suffering from abuse, illness, grief or stress process their feelings using the venue of painting on canvas. Art Projekts was created to support a continuous search of truth in art and to offer a certain breathing room for the spirit. The creators of Art Projekts believe that art cannot fully exist without interaction that questions its significance. Art is therefore a project that builds a unity between the artist and the viewer, and it is only in this collaboration that art takes its true meaning. The Art Resource Group is a professional art advisory and appraisal service company founded in 1987 by Miriam Smith, and located in Newport Beach. Art Resource Group specializes in both emerging artists and the Masters, including paintings, sculptures, drawings, prints and photography. Art-A-Fair is unique among cultural events, featuring 125 internationally juried artists and a master craftsmen. Increasingly popular among artists and visitors alike as a showcase for emerging talent, it has become one of Laguna’s must-visit summer affairs. The ARTery Gallery @ The LAB is one 8' x 40' shipping container and two 8' x 20' shipping containers transformed into a community art gallery. Located at The LAB in Costa Mesa, The ARTery is at the heart of the urban resurgence of Southern California.  The gallery features contemporary and experimental art by 20 local artists, all members of Orange County Fine Arts, a non-profit association of artists, which uses a portion of the proceeds to sponsor scholarships for local art students. BC Space features contemporary art focusing on paintings and photography. The Bowers Museum holds in its collection more than 130,000 works of art. These works were donated from 1935 to the present and represent many regions and cultures of the world. The museum’s largest collections are in the areas of Native American art, Pre-Columbian art, Asian art, art of the Pacific, art of Africa and Orange County history. The Brett Rubbico Gallery is located in Newport Beach. This authentic Japanese garden and ceramic online shop features handmade pottery and home decor from the artists and potters of Japan. Products are available to be seen at their warehouse by appointment. A center in the original Anaheim colony that features multi-dwelling units amidst a street of retail space and restaurants. It is also home of many community events and holiday celebrations. Chemers Gallery has over 25 years of experience in the art industry and always puts their customers first. The Gallery prides themselves in offering a large selection of local, national and international artists. Important Information: Chemers Gallery is open on Sunday by appointment only. In a career spanning over 60 years, Chuck Jones helped shape the humor of three generations, making more than 300 animated films, three of which won Academy Awards?. His work has been celebrated by the movie industry, exhibited in galleries and museums around the world and inducted into the National Film Registry. His work continues to influence contemporary artists, filmmakers and writers. Chuck Jones Center for Creativity, a nonprofit 501(c)(3) private operating foundation, is dedicated to fostering and encouraging creativity, especially in young people, using the drawings, films and writings of the legendary animation director as inspiration. The City of Brea Art Gallery presents quality exhibitions throughout the year and the facility’s 6,300 square foot exhibition space is home to artwork from around the world. Coastline Art Gallery is dedicated to fostering an inviting and accessible local art community and providing opportunities for interaction between students, artists, art professionals, and the local public. In addition to the exhibition program, Coastline Art Gallery regularly holds opening receptions, artist lectures, artist in residence programs, holiday art sales, summer art workshops and many other art-related events. The newest addition to the campus of the Claire Trevor School of the Arts at University of California, Irvine. Creative Identity is a nonprofit expressive arts center that assists artists and musicians with developmental disabilities to creative and showcase their talents. Their programs provide an accepting and nurturing community where artists and musicians establish a dialogue with the rest of the world through their art. The Cypress College Photography Department Galleries are dedicated to presenting exhibitions of outstanding contemporary photography. Shows include the work of new innovative photographers as well as that of established masters. The Photography Department curates three gallery spaces on campus. The Photography and Floating Wall galleries are located on the second floor of Technical Education 1 and the Library Gallery is located on the third floor of the library.